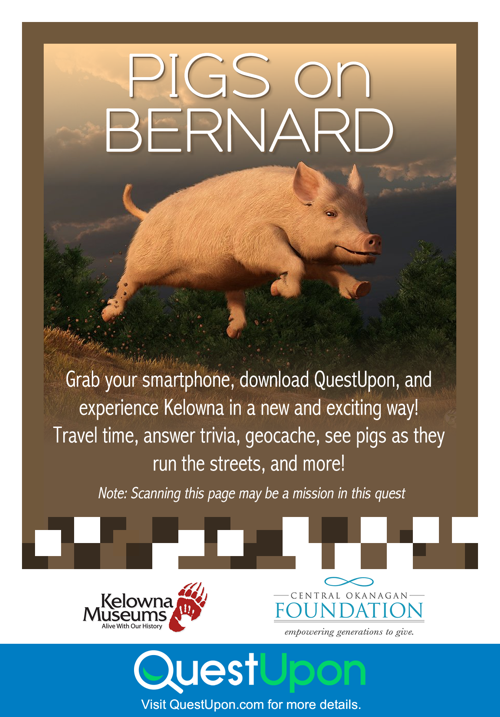 Pigs on Bernard lets you travel back in time to have an adventure through Kelowna! Kelowna Museums has partnered with the Vancouver-based QuestUpon to bring culture and heritage to life in the Okanagan. 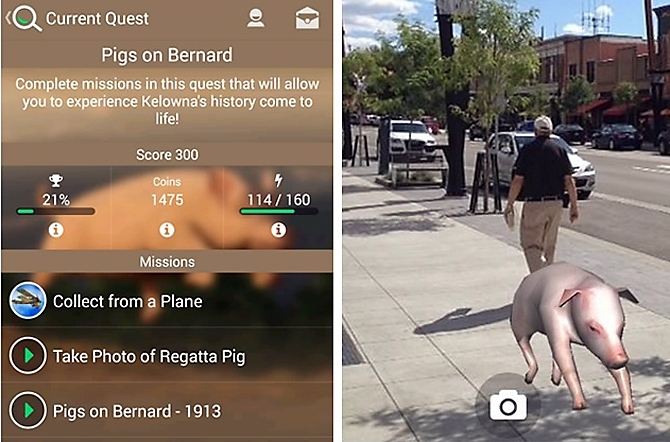 The app gives you an interactive, geo-locative heritage adventure that sends you back into Kelowna’s history to answer trivia, geocache, see pigs run down Bernard in 3D augmented reality, and more. The Kelowna Museums historical quest, Pigs on Bernard, combines cutting edge technology with Kelowna’s history, bringing the past to life in a whole new way. Get started by downloading the free QuestUpon app for Apple or Android smartphones.